You just might want to hire this little cat to shovel the next time there's a snowstorm. While a blizzard was busy dumping over a foot of snow across Colorado, Boots the cat got to work and built a mini igloo for himself, according to ABC News affiliate KMGH in Denver. The cat started on the construction after his owner, KMGH photojournalist Adam Stevens, opened the patio door. Boots just kept digging and digging away until he had just enough space to house his little self. 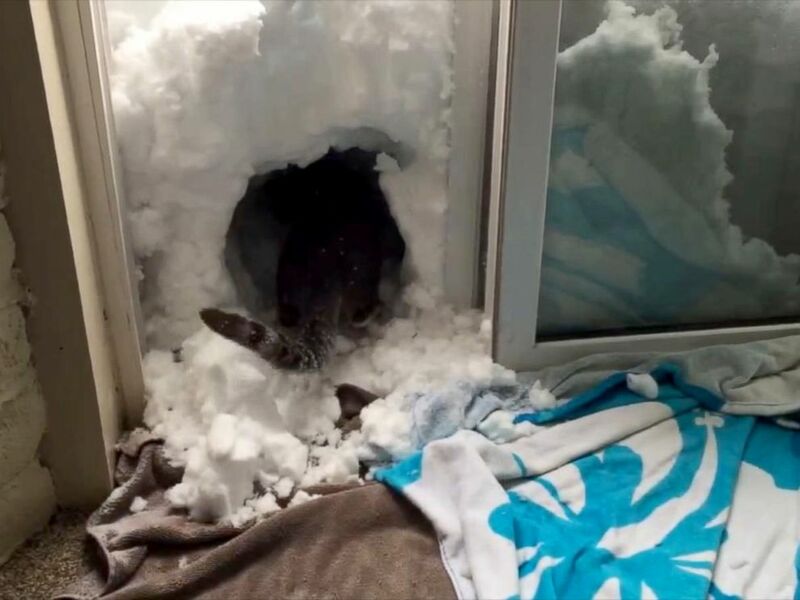 When Colorado got hit with a March blizzard, Boots the cat went to work building a snow igloo. "Who would have thought -- a cat building an igloo!!!" Stevens said.